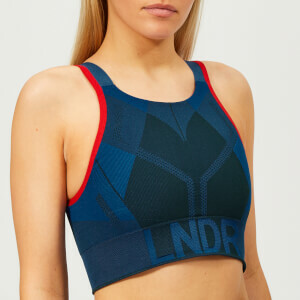 Women’s ‘Yoga Comfort’ tank top from the adidas by Stella McCartney collaboration. Presented in a light, velvety-soft fabric crafted from recycled Parley Ocean Plastic™, the colour block vest features a scoop neckline, a racer back and Climalite moisture-wicking properties to keep you cool and dry whilst on the move. A branded badge at the chest adds the finishing touch to the design.